Living in a log cabin could change your life. Sound crazy? Think about it. 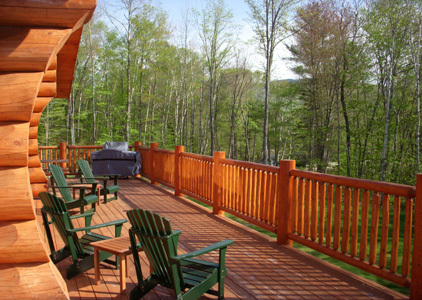 Your own cabin in the woods…is this something you’d like? Dreaming about a beautiful hand crafted log cabin means you’re already thinking about changing your life…in a good way. Maybe you’re not planning to go totally off grid or grow your own food. (You might be, of course, and that’s impressive!) But if you’re ready for real, lasting quality in all areas of your life, why not begin with your home or getaway retreat? If you’re looking at ways to escape the chaos of city life or get back to nature, building a log cabin could be the home base for a more simple life. Perhaps you’re not ready to go rural full-time, but you need a country cottage to get away and recharge now and then. 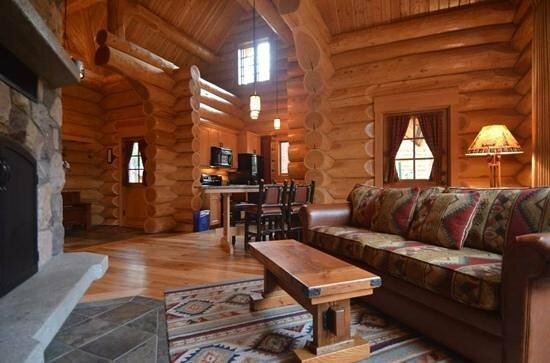 What better place to relax than your own log cabin? Whether you’re planning to “log-out” completely and try living off-grid, or you just want to enjoy nature with every modern convenience handy, a log cabin home can deliver exactly the lifestyle you want. Practical AND luxurious, a hand crafted log home is both a showpiece and a workhorse. Solid, strong and naturally beautiful. Craftsmanship you can see. Comfort you can feel. Art you can live in. A hand-crafted log cabin home is built in the traditional method of scribing cut trees (logs) to fit stacked one on top of the other. “House logs” must be long, straight and sound. These are the most perfect logs from every timber harvest and they grow only in certain areas under the right conditions. Logs in a handcrafted cabin are not mechanically processed, so the organic shape of each tree is important to ensure even, tight fitting walls over the years. This is nature at its finest, an excellent renewable natural resource. But that’s not the only way to measure quality! Real quality endures and log home construction is still one of the most long-lasting building techniques in the world. 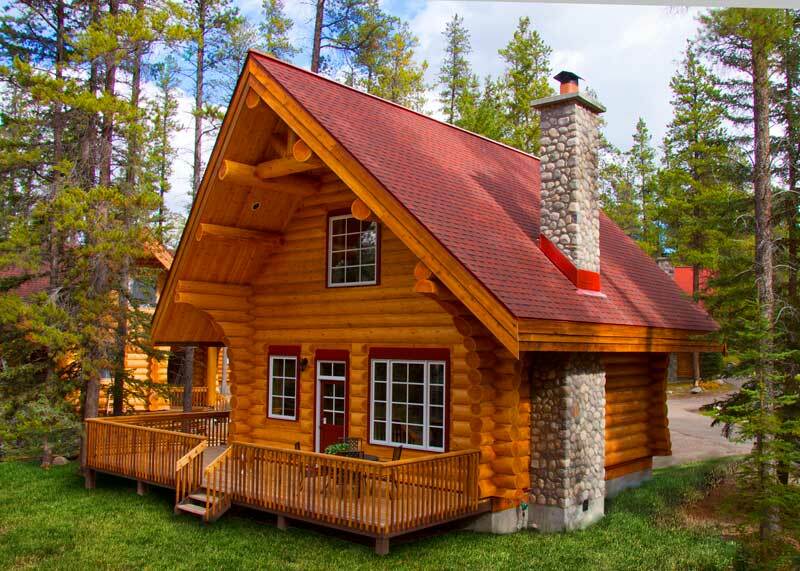 You can expect your log cabin to be warm in the winter, cool in the summer, always quiet, welcoming and beautiful. Can you begin to understand why something this “rustic” redefines luxury? Invite family and friends to share the ambiance of your log lodge as you disconnect from the demands of modern life and reconnect with the things that matter most. In an age of pre-fab everything a handcrafted log cabin represents master craftsmanship, unique character and rustic charm. So let’s assume you’re ready for something different. A home or cabin not just set in nature but constructed from nature: channeling the raw power of the forest to shelter and protect your family. This is your log cabin home! 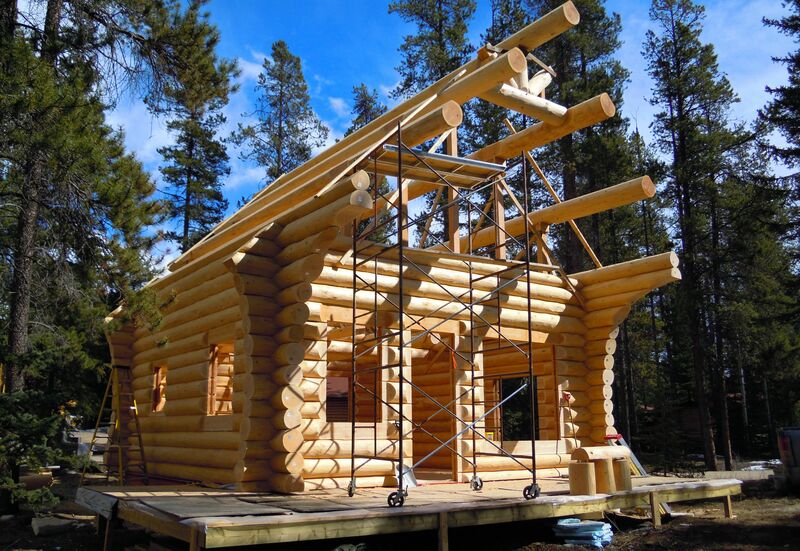 Building a log cabin by hand. Do you want to try it…or not? All true…although it doesn’t even mention the weather! Log building takes place outdoors…in all weather. Summer days when it gets up to 100 degrees farenheit? You’ll start at 5 am to beat the heat. Long cold winters? You’ll sweep snow off the logs before you can even begin peeling or building. Heavy rain? That means rain gear. And mud. Sound like something you want to try? Or would you rather find someone to do the “dirty work”? Over 40 years ago an adventurous member of our family decided to quit his job, move across the country and build a log cabin himself. It attracted a lot of interest and soon other people wanted him to build log cabins for them. (Read more about it!) As years went buy the technique was perfected, skills were honed and shared, and the business grew into an international company. Whether you’re planning to do it all on your own or you’d rather delegate the job to a family-owned company that has been building log cabins every day for decades, one thing is certain. You want the best log cabin you can afford! If you’re thinking of enlisting us to handcraft your log cabin dream home, we promise uncompromising quality timber and craftsmanship! You’ve probably got a lot of questions and we’re looking forward to a chat with you! Listening carefully to your log cabin wish-list, we’re happy to answer your questions and explain how the best logs in Western Canada will become the walls of your new home. A new adventure in your life begins with a step back in time to the classic quality of a handcrafted log cabin!